Samsung’s high-end phone lineup is stacked in 2018, with both the Samsung Galaxy S9 and samsung galaxy note 9 impressing. Its mid-range offerings are a little less enticing though, especially with impressive devices like the OnePlus 6 offering fantastic features for less than £500. 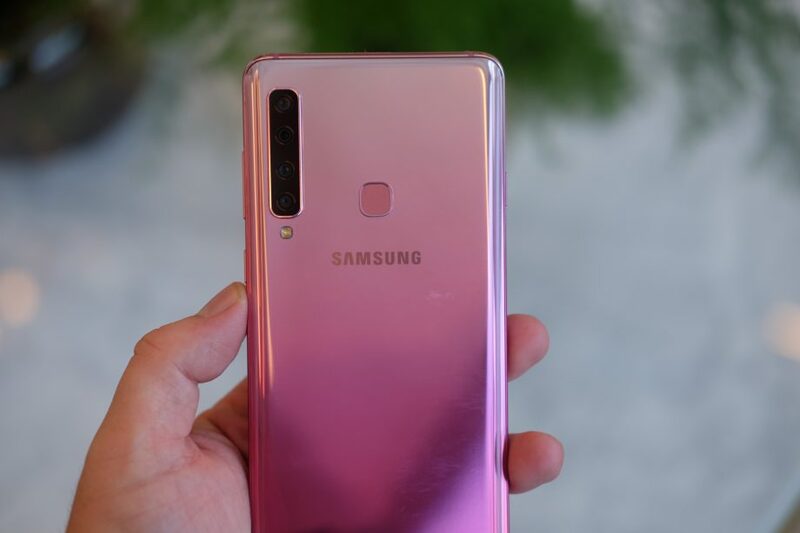 This is where the Samsung Galaxy A9 2018 comes in. For £549 you’re getting 128GB storage, plenty of RAM (6GB) and five cameras. That’s a lot of phone for your money. Samsung Galaxy A9 2018 release date:There’s no official release date for the new A9 yet, however Samsung said it’ll be coming to the UK and other regions in November. The main camera is a 24-megapixel sensor with an f/1.7 aperture. Below that sits a depth-sensing 5-megapixel camera that focuses solely on gathering depth information for the Live Focus bokeh feature. 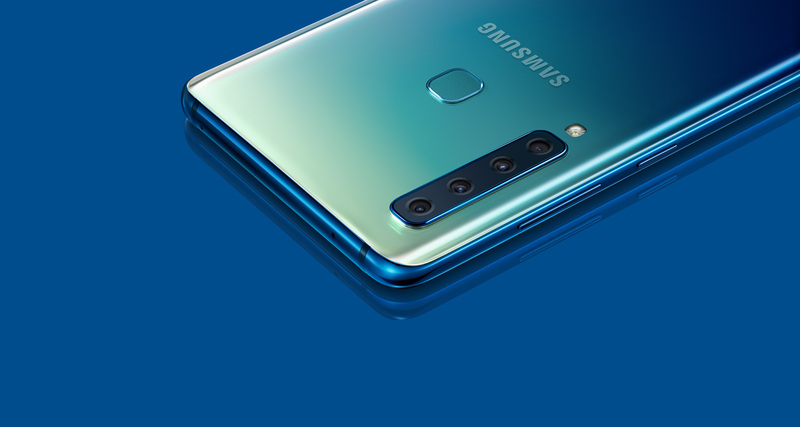 Next up is an 8-megapixel telephoto sensor that’ll give you improved quality when you’re zooming – or so Samsung says – and finally an ultra-wide 10-megapixel sensor. The last camera gives you a much wider, 120-degree view and allows much more stuff crammed into the shot. 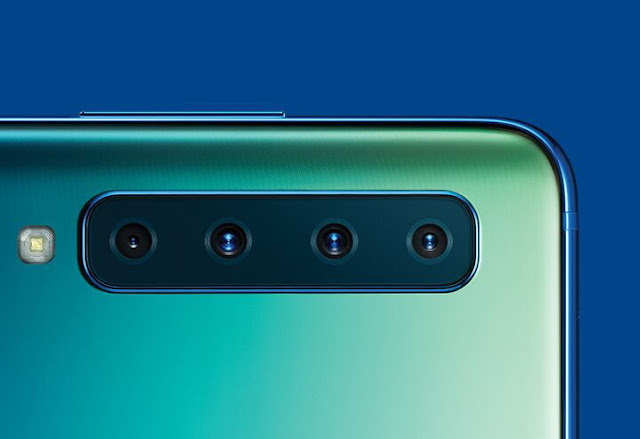 There’s also a 24-megapixel camera round the front with an f/2.0 aperture.Capture the scene from where you are.The Galaxy A9 has a 10MP Telephoto Camera with 2x optical zoom that shoots beautifully detailed photos even from a distance. 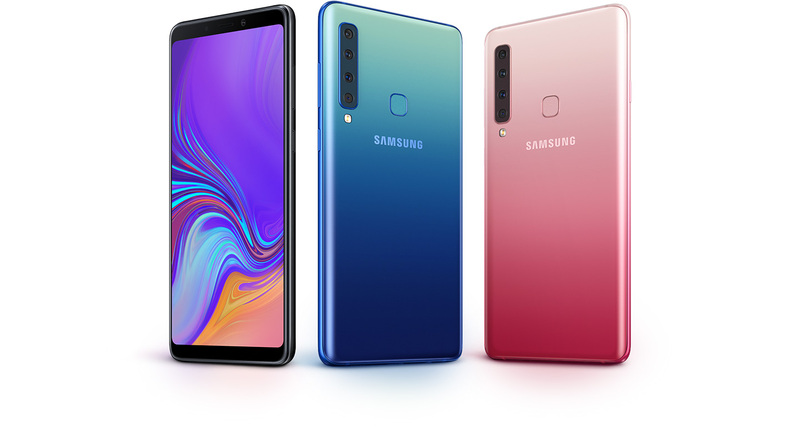 Connect quickly and seamlessly on the Galaxy A9.Its Octa-Core processor and 6GB or 8GB RAM combination provides performance that keeps you going at high speed whether you're livestreaming or multitasking.On the front is a large 6.3-inch FHD+ panel with a slim bezel and no notch. Samsung calls this an ‘Immersive Display’ rather than an ‘Infinity Display’ (the one you’ll find on the Galaxy S9 Plus) as there’s no curvature to the sides. It’s certainly not as flashy as those other screens, but it still has good vibrancy and punchy colours. The actual design of the phone feels – and looks – very different to other Samsung devices. It’s made of a ‘glass-like’ material that feels kind of plasticky to the touch, but it comes in a fantastical array of bright, sparkly colours. There’s a vibrant pink and a blue that’s similar to the Twilight colour of the Huawei P20. They really do stand out and look great. I’m less convinced about the look of the cameras on the back, though. Atlast it would be say that,For £549, the Samsung Galaxy A9 sits just above the OnePlus 6 – and I am yet to be convinced it can properly compete with that excellent device. Yet you’re still getting a lot here and it’ll be a unique product if all the cameras work well.